Free download Assassin’s Creed IV Black Flag game for PC. It is another game of Assassin’s Creed series developed by Ubisoft. Assassin’s Creed IV Black Flag is very interesting game for all platform including PlayStation 3, Xbox 360, PC, Nintendo Wii U, PlayStation 4 and Xbox one. 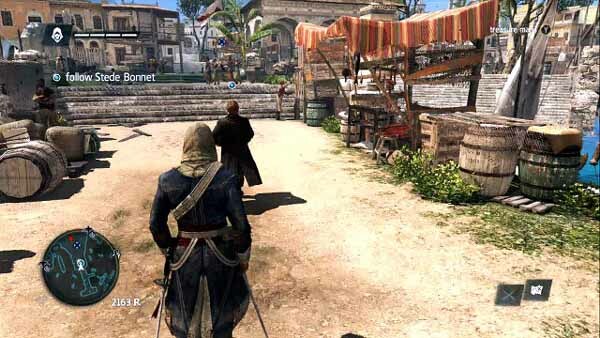 In Assassin’s Creed IV Black Flag, you will see the Assassin’s Creed character in new form. Here is a pirate Edward Kenway, who becomes Assassin’s Creed after Killing the real Assassin. 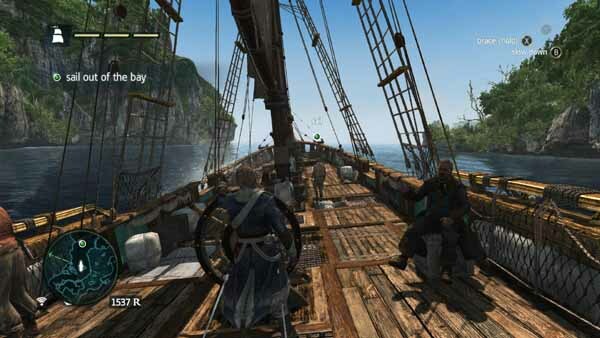 In the first mission, you will find Edward Kenway into his ship Jackdaw, fighting with Assassin’s. When his ship destroyed, he swims to the nearby island. Assassin also reaches and run away. The mission is to find the Assassin and kill him. This is the test mission of the game, after which you will become Assassin and wear the cloths of late Assassin. Now you have to find and escape a merchant and search for treasure with the help of a map. After that, you have to sail ship to the deep sea. After this test mission, you will reach an Island. Where the actual mission will start. In this mission, you have to follow the merchant and complete the objectives. There are some viewpoints in Assassin’s Creed IV Black Flag game. You have to reach the top of viewpoint and the synchronize by pressing E key from your keyboard. The graphics of the game Assassin’s Creed IV Black Flag are awesome. You will really enjoy the game on your PC. As, Edward Kenway is basically a pirate, so he keeps loot people after killing. When a soldier or enemy is killed by Edward Kenway, you can loot him by pressing E key. There are also some missions in deep sea. You have to fight with enemies’ ship and when see fire on ship, you can board and loot it. The game size for PC is about 23 GB. Here is the system requirements of the game.